All the proceeds from our fundraising efforts, like the raffles and public donations that our scholarship fund receives, are dedicated to sharing the beauty and insights that Japanese culture offers our community. We do this by extending supporting grants to individual students and public or private organizations pursuing studies and creating projects or events that focus on Japanese culture in Sonoma County. One of the most visible and important assets to our community is the cultural diversity available to all of us and expressed in the many influences in food, traditions, music, language, art, etc., that enrich the quality of our everyday lives. Sonoma County Matsuri is dedicated to bringing to the forefront all aspects and contributions to our society by Japanese immigrants and their culture, in the hope that by sharing its uniqueness with the rest of us we will catch a glimpse of our shared commonality and humanity. In tribute to Cara Kallen, one of the founding members of Matsuri who passed away in 2019, the scholarship was renamed the Cara Kallen Memorial Scholarship. We hope the recipients of this scholarship, students and instructors alike, will pass on their love of Japanese culture to others in the community, just as she inspired us with her love of Japanese culture. 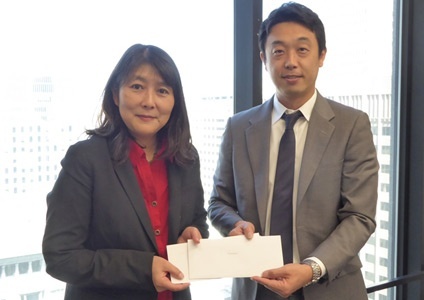 On June 30 2016, Sonoma County Matsuri Festival visited the Consulate General of Japan in San Francisco and presented Consul Ichioka with a donation check for the Kumamoto Earthquake and Great East Japan Earthquake. The donation will be delivered to the affected population through local government agencies.